Some of you may remember my foster dog Dora, a 12+ year-old black Lab. Busting that old girl from the pound was one of the most rewarding days of my life. While I only had Dora for six weeks (she got adopted), she impacted my life in a positive way, and I still think about her. Because I experienced such love and gratitude from Dora, I hope to eventually adopt a senior dog from a local shelter. To help inspire myself and others, I reached out to three dog owners who have done just that – adopted senior dogs. I hope you enjoy their stories. 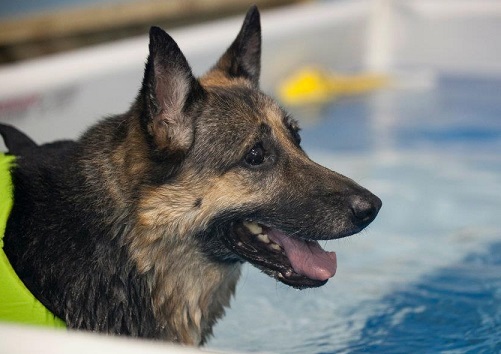 Sarah Guffey adopted a senior shepherd named Tasha who was estimated to be about 9 at the time. Tasha had been considered a special-needs dog due to severe problems with her hips and knees, according to Guffey. Unfortunately, Tasha did pass away in August at the estimated age of 10. “We had Tasha for just over a year at the time she passed and I wouldn’t change a second of it,” Guffey said. 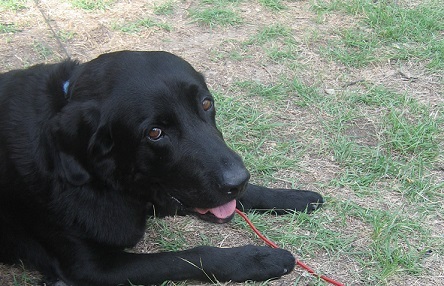 Gentle Ben was sick with pneumonia when a rescue group took him in, according to Marcia Bishoff, who later adopted him. She was somewhat surprised the rescue treated Ben due to his age (13) and likelihood of not surviving. But Ben did survive, and Bishoff felt she could give him a good home for his last few months. “I really like the old dogs and try to give them a good life at the end of their life,” she said. She also knew she would be able to handle Ben’s lack of mobility and difficult getting up. “At least he died adopted, not just fostered,” she said. Christy Nielson adopted 10-year-old Jeb from a family member who was going through a significant life change. “We thought long and hard about whether we wanted another dog in our family,” Nielson said. She considered how her first dog Kodi would react and whether adopting from a family member was a good idea. She also works from home so Jeb gets lots of company. Here are some reasons these women recommend adopting a senior dog. 1. Seniors dogs have gone through the “problem” stages. Most of the time, senior dogs are already potty trained and less likely to destroy the house, Bishoff said. They may not need a lot of exercise and will just appreciate your companionship. In addition to Gentle Ben, Bishoff also adopted a 9-year-old collie named Mercy and fostered a 10-year-old Sheltie. 2. Senior dogs can make great pets for senior humans. Some shelters have “seniors for seniors” adoption programs where “seniors” can adopt an older dog or cat at a reduced rate. The San Diego Humane Society offers free adoptions on senior animals to anyone ages 55 and up. Plus, its senior animals are just $25 for all other adopters. 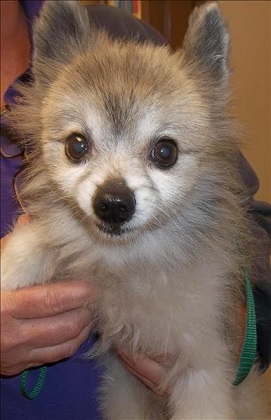 Keoka (pictured) is an 11-year-old Pomeranian mix currently for adoption with the humane society. Bishoff said to keep in mind that older dogs often need help getting up, so in some cases a small or medium dog may be more appropriate for older adopters. I would add that this may be the case for younger people too. For example, I had a hard time lifting Dora up and down the stairs. She was 80 pounds and also needed help getting in the car. 3. 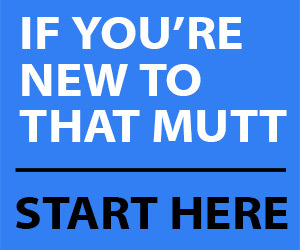 You’re making a difference for a dog. Guffey said she would like to encourage others to adopt older dogs because senior dogs are often overlooked. Would you ever adopt a senior dog? 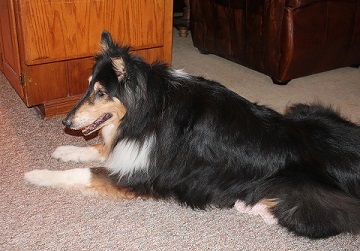 For more on senior dogs, check out this adoption story on DOGthusiast as well as the poem I wrote for my aging dog Ace. I love senior dogs! Looking at all the adult and senior dogs in shelters, I don’t think I would ever adopt a puppy. Plus, grumpy old dogs are near and dear to my heart. This is the most amazing blog post and si inspiring. I have always said that our 5th dog would be a senior and I got so choked up reading this that now I am even more certain. Whenever I need a little more of a push to make self employment happen, I get it. Thank you. That is so good to know you’re considering a senior dog. Whatever dog you choose will be so lucky when the time comes. I don’t think Mom would ever adopt a senior dog because life is too short as it is, but if Bailie keeps up with her nonsense, Mom may reconsider! Hey Lindsay, as you know I rescued my beloved Billy who was 7 at the time and I love him so much. He came fully trained and he knows heaps of tricks and is so cute. I wouldn’t trade him for all the puppies in the dog park. Aww, Billy is so cute. We love seniors. Our last three we adopted were seniors. Not sure I could take the puppy stage again. The seniors are so special and so need the quiet peaceful love of a final home. The hardest thing I would have about adopting a senior dog is that our time together will be limited. I just had an emotionally painful experience over losing a dog. I guess when I’m emotionally prepared I wouldn’t mind adopting a senior dog. I’d love a dog at the right time of my life, maybe as a senior I’ll get a senior. I’ll be more emotionally prepared. This is really something to think about!